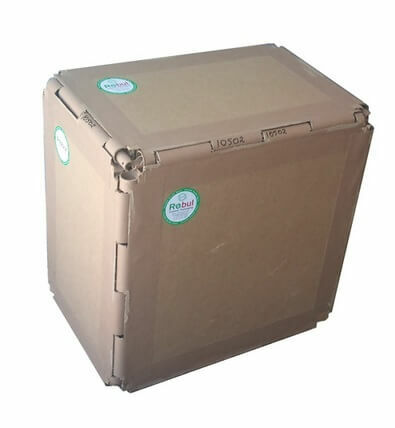 Shipping in South Africa is free up to a volumetric weight of 12 Kg. This will cover most medium to small pieces.Please note that if a piece is returned within the 7 days , the return cost is not included, and is to be paid by the purchaser. I will then email you with an invoice with a total cost of packaging , freight, insurance and fumigation if required. Freightage costs can be paid directly to the shippers or if so desired.I endeavour to get the most competitive prices available. To give peace of mind, you will be in contact with the shipping agent at all times to ensure the shipment is on track for delivery. 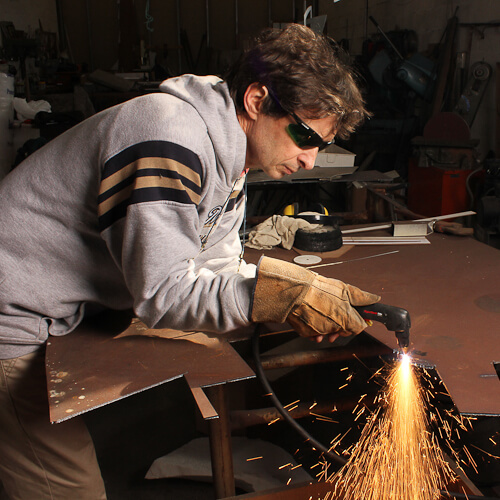 As the sculpture is going to become a permanent fixture in your life, you need to be sure you are happy with it . In addition , buying sight unseen on the internet is not an easy undertaking. This is especially true of sculpture which has the 3rd dimension. On this basis you may return the sculpture for a full refund after 7 days, provided you pay for the return shipping with the sculpture in the original container. If you are in Cape Town and would like to view the work, please contact me and I will show it to you in my gallery. Sculptures are professionally packed in a solid and secure cardboard pallets. 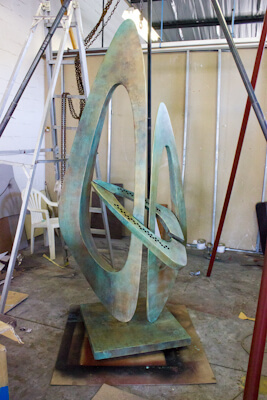 I will email you an invoice with the freight and sculpture cost included. The options of door to door Air freight, Air freight to the nearest airport, Sea-freight, and road freight are available. The materials used are detailed in the description of the work. Lacqured paint means that I am using auto lacquer paint which has been sprayed onto the surface, The works are sandblasted, to raw steel, primed with an etch primer and then a basecoat of colour is applied ( 3 coats , which gives the correct colour density). A clear satin or gloss clearcoat is then applied as the final coat. The reason I mention this is that if the sculpture gets damaged it can easily be repainted by reputable, paintshop with the above information kept in mind. Sculptures which have high finishes will need to be dusted down from time to time, and if any stubborn marks appear, especially on white surfaces ( insects) they can be removed by using a fine autoburnishng compound.